Feb. 9, 2019 - In an article published in Riyadh Daily, Struan Stevenson, former Member of European Parliament and Coordinator of the Campaign for Iran Change, wrote: the Iranian people’s uprising that has lasted more than 13 months in cities throughout Iran has intensified. The mullahs’ regime is on the verge of collapse and resembling a wounded beast that is about to die. Men, women, students, teachers, workers, business owners and pensioners have gone to the streets to protest the violence and recession of the fascist clerical regime, which has plundered the wealth of the Iranian people. The regime has suppressed 80 million people, of whom more than half are under 30 years old. The regime has also launched proxy war across the Middle East. Iran’s middle class has almost vanished. Poverty is widespread. People are now struggling to nourish their families and confront power cuts, water shortages, and rising food prices. Mr. Stevenson writes: “Their expansionist and aggressive policies across the Middle East continuously pours human and financial resources into Bashar al-Assad’s murderous Syrian civil war, by sending troops for genocide against the Sunni population in the neighboring Iraq and supporting the Houthi rebels in Yemen and their large investment in Hezbollah terrorists in Lebanon. They currently spend £750 million per year for Hezbollah in Lebanon. Now, it is clear that this situation will not last. The mullahs have started worldwide horror campaigns by misinformation and sending unsigned and threatening letters, he added. In June 2018, in a joint operation, German, French and Belgium police, judicial and security authorities arrested two possible bombers and an Iranian diplomat, Assadollah Assadi, who had given them the bomb and ordered them to detonate it at a gathering of the Iranian opposition near Paris. Subsequently, similar actions were taken against Iran's terrorist plot in the United States, Denmark, Bulgaria, the Netherlands, as well as in several other European countries. These countries are now imposing sanctions against the Iranian regime and putting the names of some of the regime's agents on their black list of terrorist entities and persons. At the end of December, Albanian Prime Minister Edi Rama expelled Iran's ambassador and its first attaché in Albania, due to a security threat that they posed against the Albanian people, said Struan Stevenson. They openly planned terrorist activities targeting 2,500 people, members of the Iranian opposition, PMOI/MEK, who recently setup a new camp called Ashraf 3, located near Tirana, the Albanian capital. The courageous actions of Albanian Prime Minister Edi Rama against bullying and threats of the mullahs’ regime was praised and congratulated by U.S. President Donald Trump and U.S. Secretary of State Mike Pompeo and several EU leaders. By exposing the Iranian embassy as a bombing plant and by ordering its immediate closure, Prime Minister Rama has presented an example to the European Union. Now, as the Iranian people are preparing to celebrate the 40th anniversary of the 1979 anti-monarchist revolution that overthrew the Shah regime, another revolution is in the making.  The PMOI/MEK has established resistance units in almost every Iranian city and town. These brave freedom fighters will undoubtedly help demonstrations, strikes throughout Iran to coincide with the promised hour.